I have chosen a quote for today’s post. A line from Charlie and the Chocolate Factory, by Roald Dahl. The message is as relevant today as it was in 1964. Reading is a more valuable way to spend your time. So, goodnight, I’m off to bed with a cup of tea and my current book, The Spy who came in from the Cold, by John le Carré. I haven’t read that book in a LONG time. I applaud your decision to write short and read long. I was hoping for a snow day today so that I could do the same, but sadly just a worry about snow day. I got rid of my TV in the 90’s. It was the best decision I ever made. 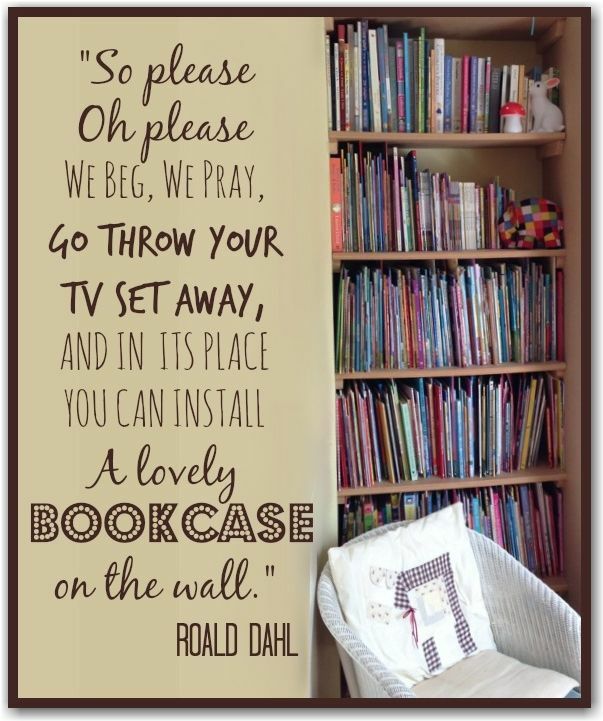 I’m hopeful people will put away devices from children and replace them with books. Thank you Adrienne for your supportive comments. A good reminder. We need to get our young ones to read books, by getting rid of or minimizing the use of their many gadgets. Thank you. I feel like the screens are taking over my teenagers’ lives. It’s a constant battle to get them to switch them off. What’s a 21st Century job? Working with device-addicts in rehabilitation centres.